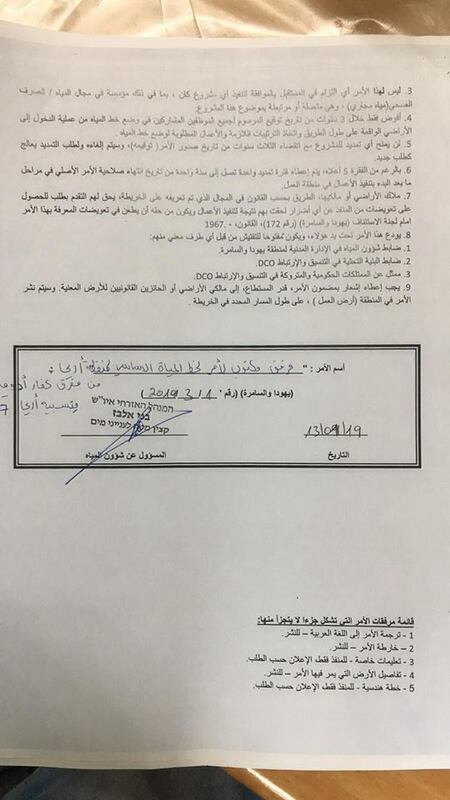 Violation: installing water lines on Palestinian lands. 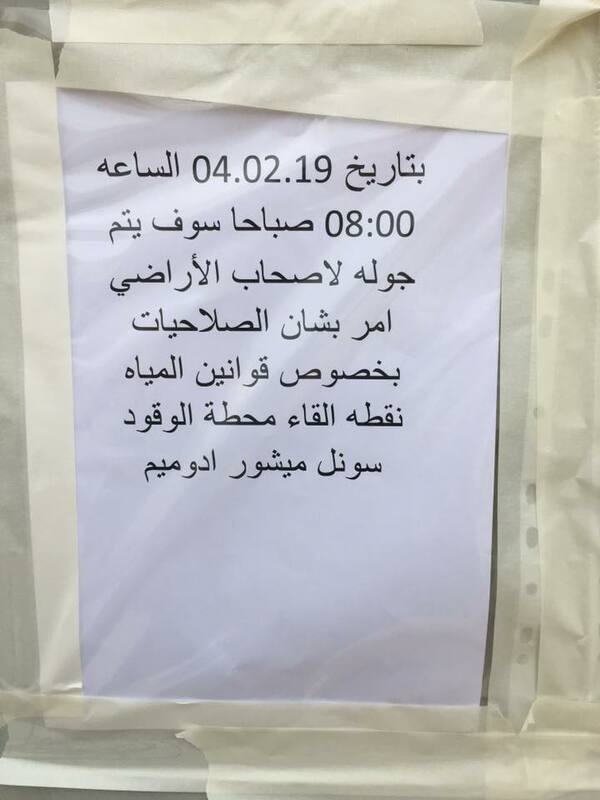 Location : Anattah and Bedouin communities north east Jerusalem. Perpetrators: The Israeli occupation army/ The Israeli occupation civil administration. 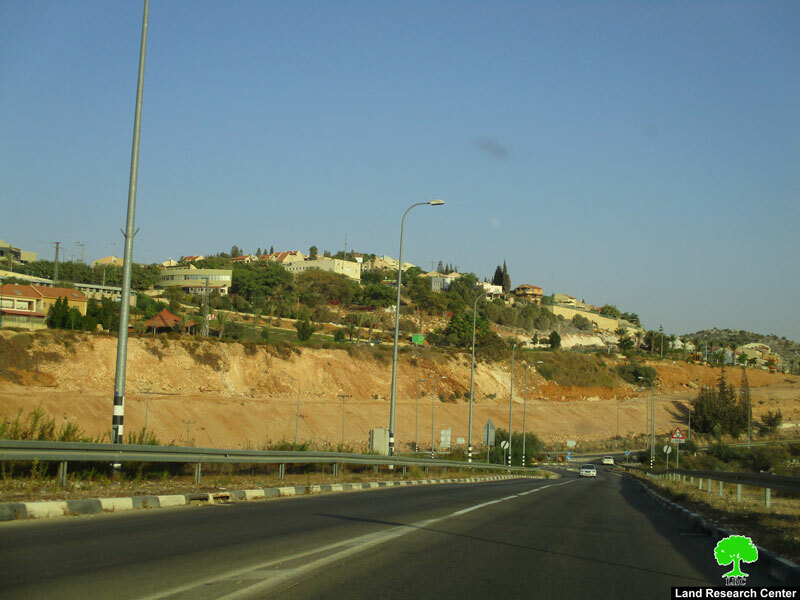 Victims: Bedouins of the area’s communities. 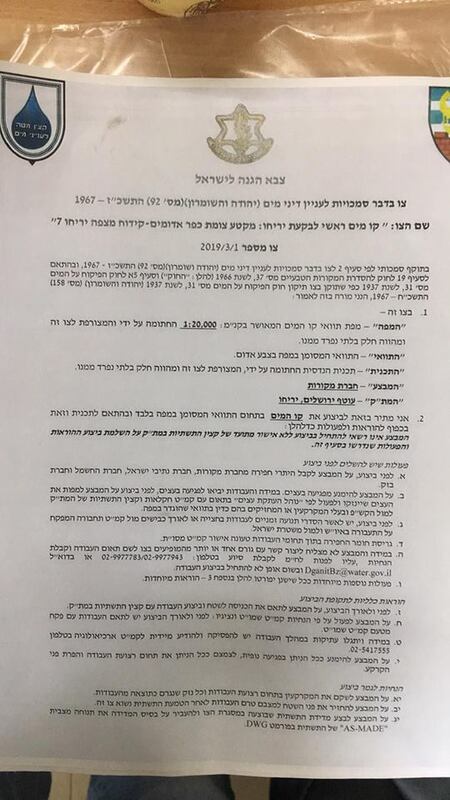 Illegal colonists in the West Bank get numerous privileges from the Israeli authorities, the Israeli occupation army and civil administration issued a military order, informing that a water line (12 inch * 7654 m) will be installed on Palestinian lands; the water line will start in “Neve Brat” toward “Mizpe Yeriho”. 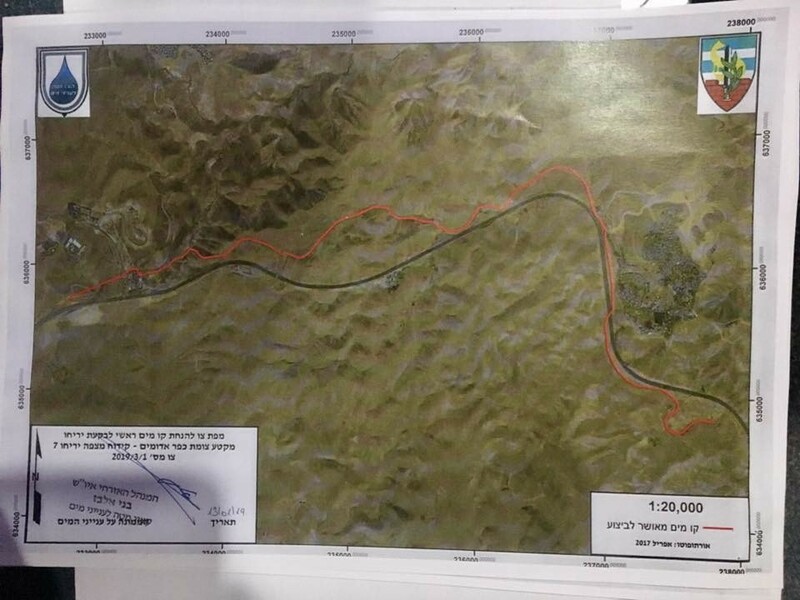 According to the military order and the attached map, the occupation will ravage vast areas of Palestinian lands in order to install a water line that serves illegal Israeli colonies. 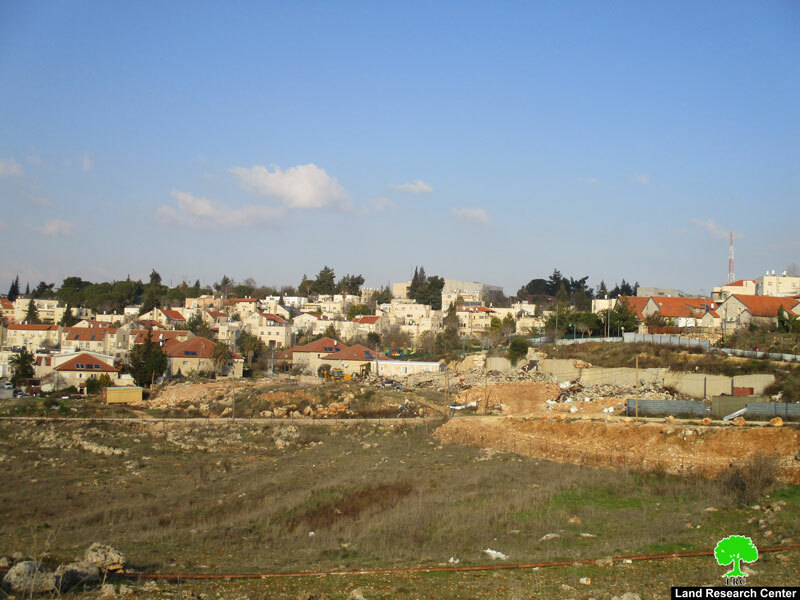 The occupation claims that the targeted lands are in the Israeli government custody but in reality they are Palestinian lands inhabited by Bedouin communities. Field observation shows that the project will devour 11.5 dunums of Palestinian lands, the water line will pass through Bedouin communities such As Sateh Al-Bahar community, Al-Khan Al-Ahmar community , Al-Ka’abneh community, Al- Faqeer community, such communities lack the least of life possibilities, and the occupation prohibit any developmental or infrastructural projects that may facilitate lives for the residents. 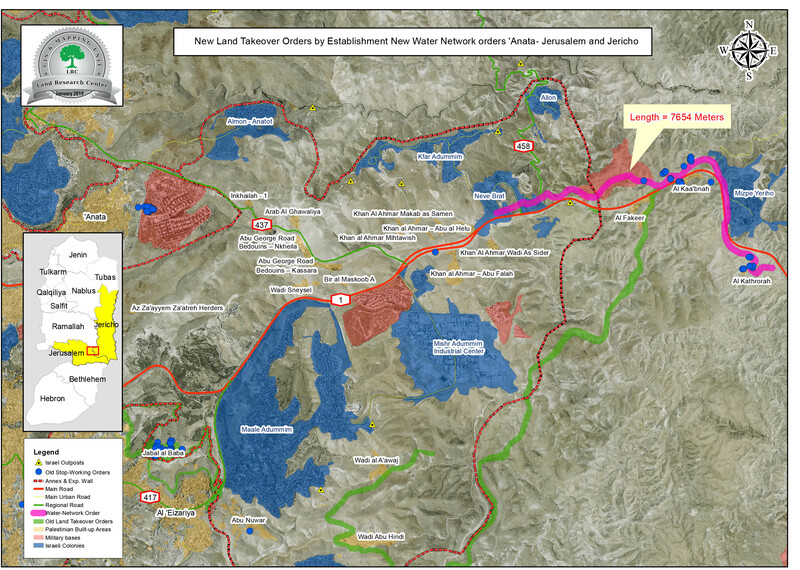 Since 1967, the Israeli government has been working on a developed infrastructure in Illegal colonies located in the Jordan valley area, they are 33 settlements in addition to random outposts and military camps. On the other side there are excessive attempts to slaughter Palestinians out of existence. 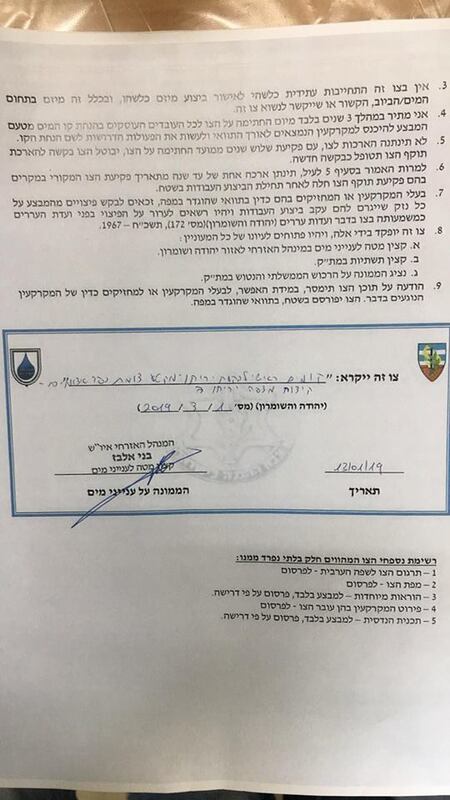 Noteworthy, LRC documented the destruction of 11 water lines over 1200 meters , used to supply water for Palestinian communities other than destroying 34 wells in 2018 , denying thousands of Palestinians from a basic life need ; water usage.